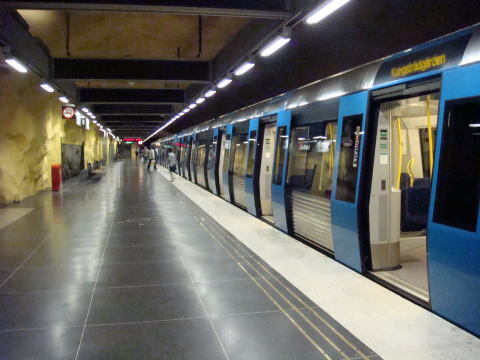 most passengers board the trains at T-Central station to go to the northwestern suburbs. 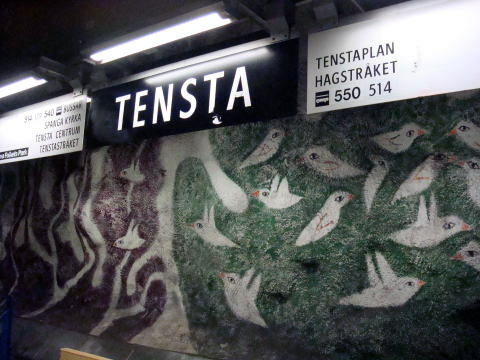 Route T10: Kungstradgarden - Hjulsta. 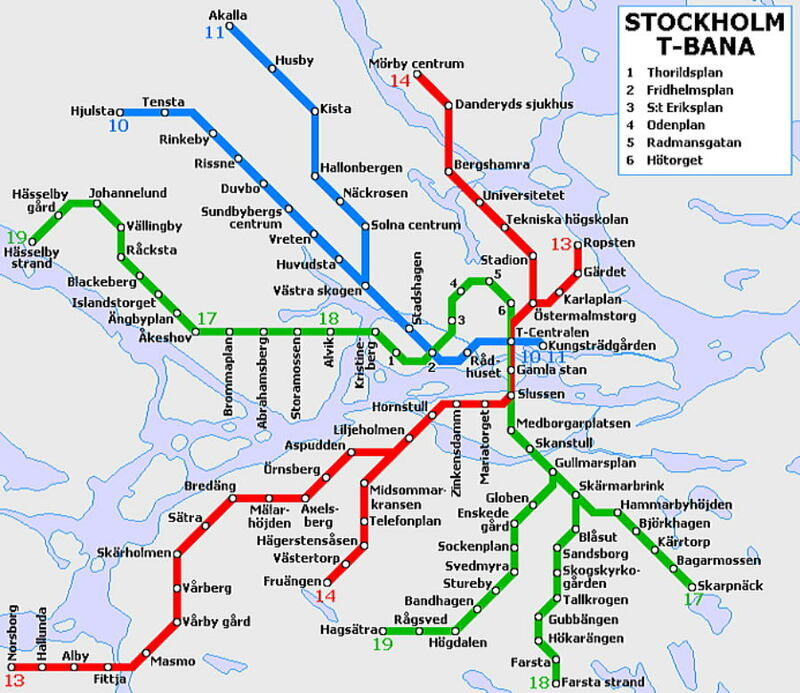 Route T11: Kungstradgarden - Akalla. 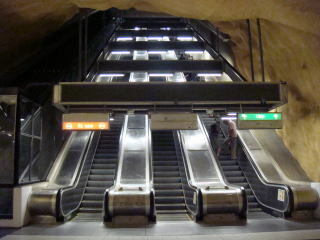 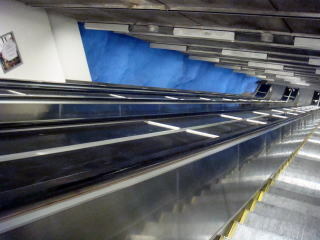 Escalators of T-Centralen Station and Akalla Station, Blue Line. 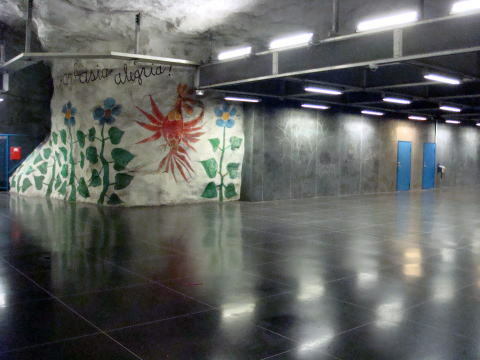 Platform of T-Centralen Station, Blue Line. 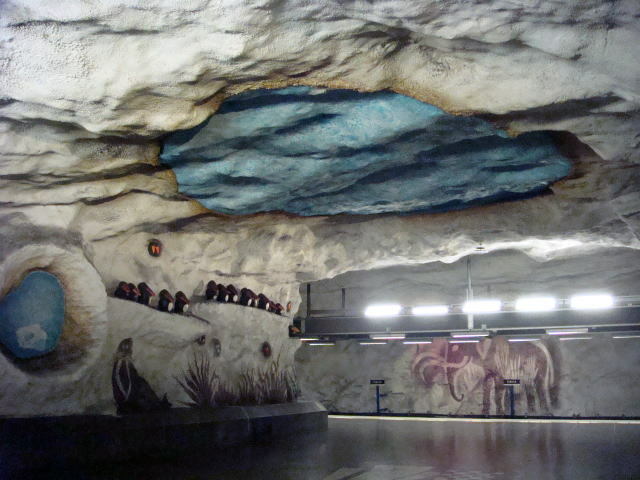 cut into a solid rock which was left with cave-like ceilings. 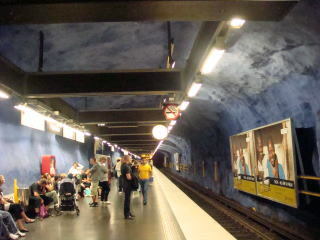 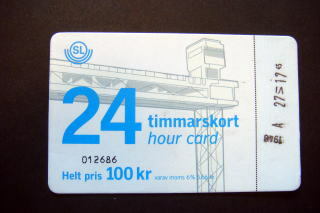 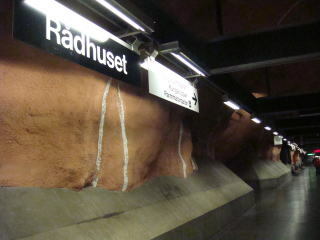 (L) Radhuset Station, Kungstradgarden Station, Blue Line. 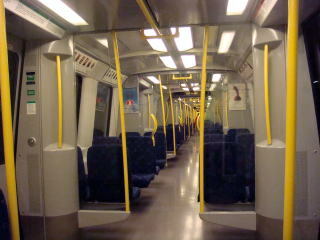 Interior of T-Bana train and a dog. 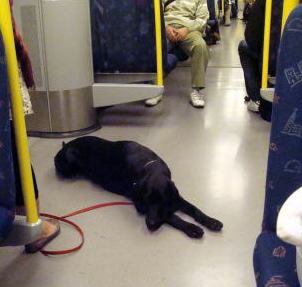 No human nor dog interferes with each other. 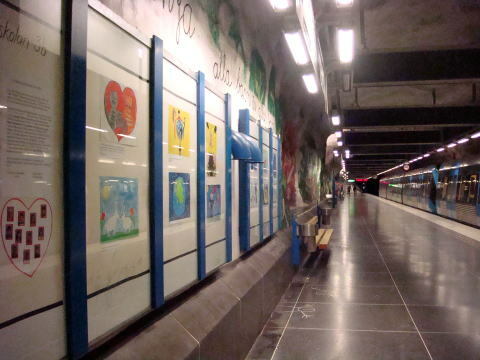 A painting display on the wall of Tensta subway station, Blue Line. 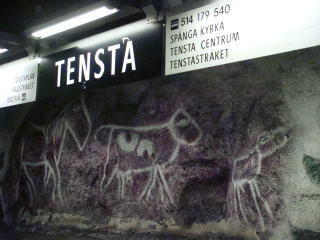 The fine cave paintings of penguins on the line and an elephant at Tensta Station, Blue Line. 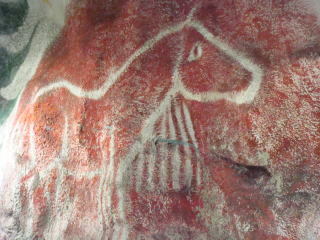 The world of birds drawn on the wall may in some day may fly out. 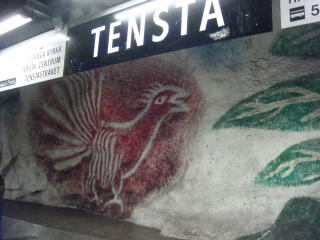 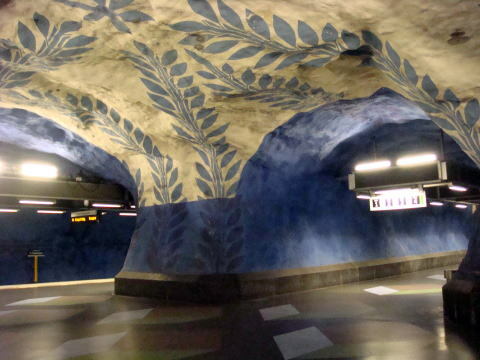 The picture was photographed in the Tensta Station. 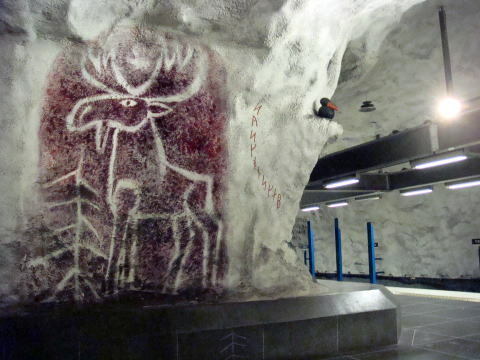 The silent world of reindeers. 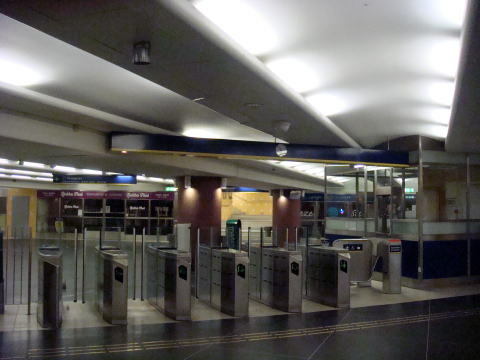 When you stand long in front of them, they may start to talk to you. 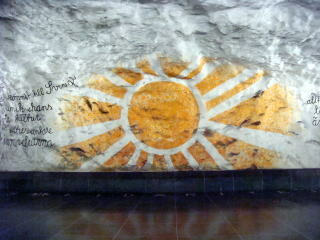 Painted sun on the wall of the platform. 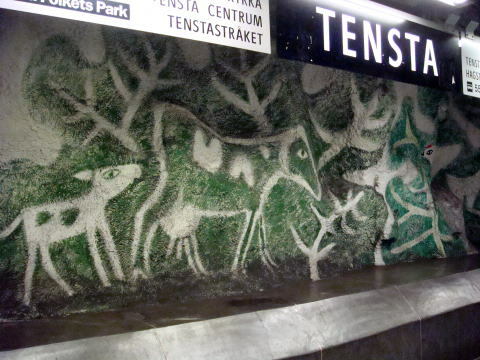 Animals drawn on the wall may invite you to the world of imagination.